A premium cut, the tenderloin is a small and gently used muscle and therefore it lives up to its name on the tenderness front. With our pastured pigs' forage rich diet the tenderloin is also very flavorful. Cook as a roast or slice into medallions for the grill. Either way cook to an internal temp of 145 (no higher!) to retain the juicies that carry the flavor. Edmund thinks the pork tenderloin we sell is equal to beef filet mignon in quality. 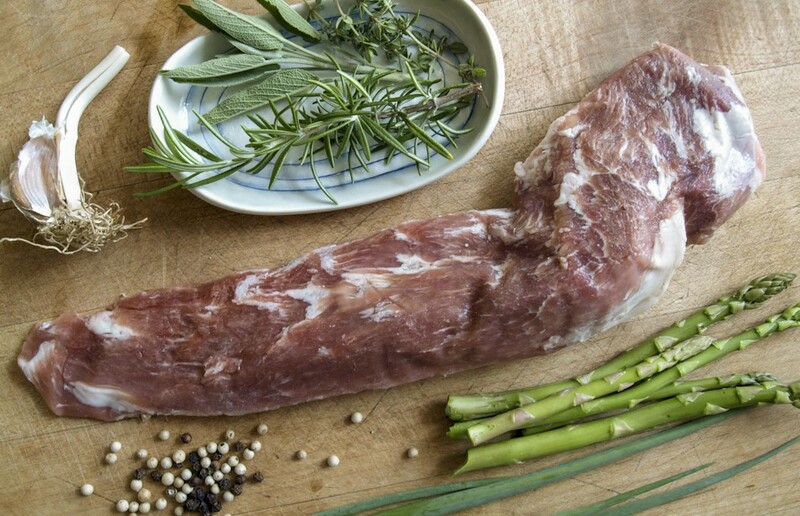 We deliver grass-fed beef, grass-fed lamb, pastured pork and pastured poultry from our central New York farm to Bryn Athyn PA, New York City, Long Island, and northern New Jersey. View our locations.